With a large open deck and disabled access, St Elin is a useful boat for MVS Poole as she can be adapted for many different roles. She is owned by Green Island Holiday Trust and operated jointly between the Trust and MVS Poole. 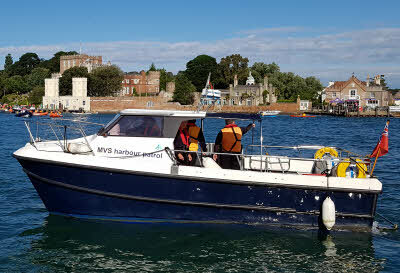 MVS Poole provide skipper and crew for the tours of Poole Harbour that the Trust organises for their recipients. In return MVS Poole uses St Elin for our training exercises and other activities, including the occasional trip to the Jurassic Coast.